Hyeyeon Park | The Chamber Music Society of Lincoln Center. 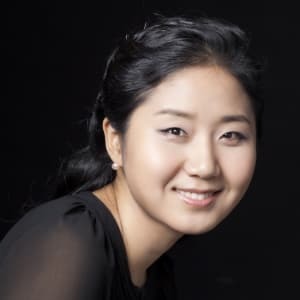 Selected as an Artist of the Year by the Seoul Arts Center, Hyeyeon Park has been described as a pianist “with power, precision, and tremendous glee” (Gramophone). She is a prizewinner of numerous international competitions, including Oberlin, Ettlingen, Hugo Kauder, Maria Canals, Prix Amadèo, and Corpus Christi, and her performances have been broadcast on KBS and EBS television (Korea) and RAI3 (Italy), WQXR (New York), WFMT (Chicago), WBJC (Baltimore), and WETA (Washington, D.C.) radio. She is Artistic Director of Apex Concerts (Nevada) and a professor of piano at the University of Nevada, Reno. Her first solo CD, Klavier 1853, has been released on the Blue Griffin label.